An international Medical Devices manufacturer wanted to reduce their energy costs and carbon emissions to ensure their UK operations remained competitive in the global market. It is well known that HVAC typically accounts for 50-75% of a clean-rooms electrical energy use. 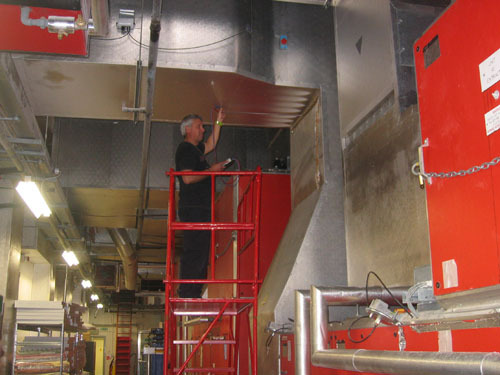 Energy & Carbon (E&C) energy reduction expert investigation of actual v required classification showed the existing HVAC serving the clean-rooms was over-performing, which suggested the extent of air supplied to the facility could be reduced. Room pressures and airflow cascade were also excessive which provided the opportunity to consider reducing the fresh air demand by reducing leakage. 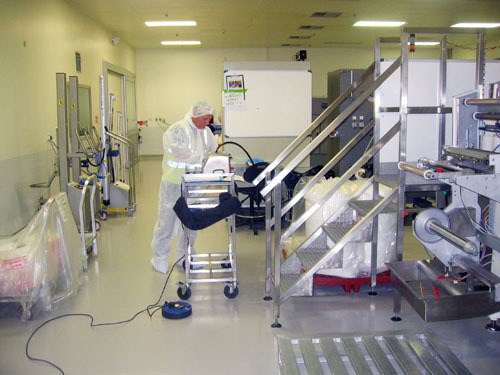 In order to ensure airflow reduction opportunities where valid, a detailed FOA (facility operational assessment) was carried out with the QA and Microbiology departments to ensure critical process, production and people issues were fully understood and sanity checked. Once this had been done, HVAC performance assessments were undertaken to identify the gap between required and actual airflow rates and corresponding room air-change rate and critical room classification and operating requirements. • Room classification “at-rest” were in some cases, 10 – 100 times cleaner than required. This initial works identified significant energy reduction opportunities could be achieved at very low cost without affecting critical process, people or production requirements. Before any works were undertaken, key stakeholders from QA, Production, Engineering facilitated by E&C undertook a detailed business risk assessment of the detailed implementation plans for airflow and room pressure reduction. The outcome of this was negligible risks to business continuity, however, as a safe guard, no works would be done which were irreversible and the time plan for the implementation works included a day for reinstating original operating settings. Also before any works were done, airflow, differential pressure, temperature, humidity, particulate and microbial data was collected two weeks before the work was undertaken by E&C engineers and validation specialists. This data collection would be continued for up to two weeks after to ensure key requirements were achieved. Upon completion, the rooms would be revalidated and signed off and then a deviation would then be written by QA to reflect the agreed changes. target cost and carbon reduction. HVAC energy reduction, commissioning and validation.